Mali Group 1962 – the producer of Thailand’s much-loved milk brand Mali – is taking a two-pronged approach to steer through a path of sustained growth. Apart from strengthening its foothold in Cambodia, Laos, Myanmar and Vietnam, Mali Group is expanding its Mali evaporated and condensed milk and Orchid butter product lines. Incessantly developing quality products for more than 50 years, Mali Group unveiled this year the Mali Professional milk, which is intended for quality-conscious food and beverage operators. Mali Professional, on top of adding rich taste and consistency, is formulated to be more cost-effective per gram, making it an ideal ingredient for coffee, pastries and other baked goods. To further broaden its offerings, the fully Thai-owned and family business is collaborating with Japanese dairy companies to develop new products and milk applications. Mali Group traces its roots from The Thai Dairy Industry (TDI), Thailand’s first dairy company that was created in 1962. It was spun off from TDI early this year to handle dairy production while TDI focuses on product distribution. Mali Group is one of the few holders of the royal Garuda emblem – a royal approval of distinction in Thailand for the company’s product quality and contributions to society. “Our strong brand and advanced manufacturing knowledge are our key strengths as we foray into Asia and explore opportunities within the Asean Economic Community,” says Pinit Puapan, vice-president. Last year, Mali Group started formalising distribution agreements with major wholesalers across Indochina. It appointed distributors in Cambodia, Laos and Vietnam to handle its products via traditional trade channels while it is in the process of setting up a distributorship in Myanmar. 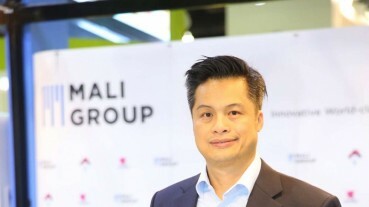 Mali Group likewise plans to name three more agents in Thailand to bolster sales.